Taking a day off to recharge and relax is certainly something we can all relate to. But what if instead of taking that time to step away from work, you used that day to continue your work? That’s exactly what Abram Hobbs and 15 field employees from our Tradesmen International St. Louis Office did. 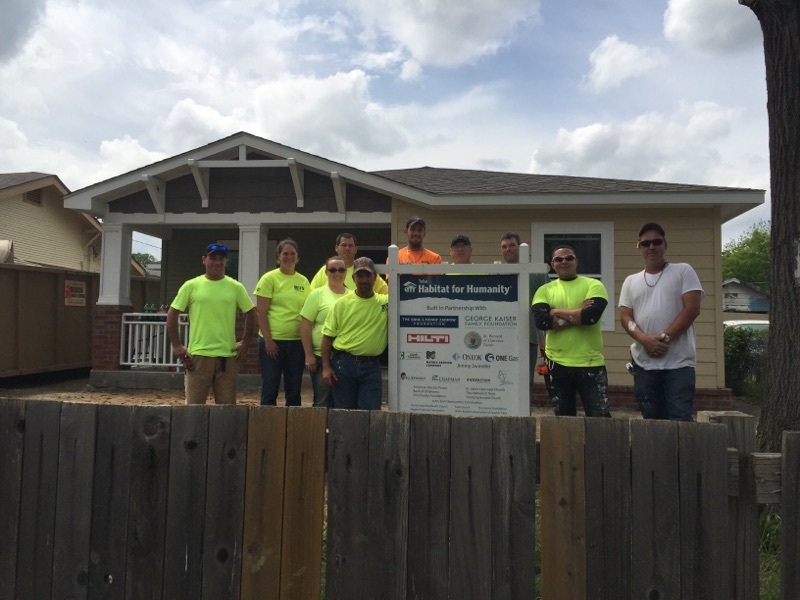 While working on a big project in Stillwater, Oklahoma, Hobbs, the project superintendent, was made aware of a Habitat for Humanity project in Tulsa Oklahoma. A family had recently lost everything in a fire, and they were struggling to rebuild their lives. Making matters worse, they had a house that still needed a lot of work before they could move in. Hobbs, who has worked with Habitat for Humanity for several years, volunteered himself. He then asked a our crew of 15 Tradesmen Field Employees if they wanted to take the day off and volunteer their time. The response was enthusiastic and everyone on the crew agreed. The St. Louis office pitched in with pizza and drinks for the crew. Best of all, with all of the help on hand, they were able to complete the project in one day — which is quite remarkable because it had been estimated that the entire project would take several days to complete. This enthusiasm and goodwill has helped that family to begin rebuilding their lives just that much sooner. Please join us in taking a few minutes to say thank you to everyone from our our St.Louis office who helped make this very important project become a reality.